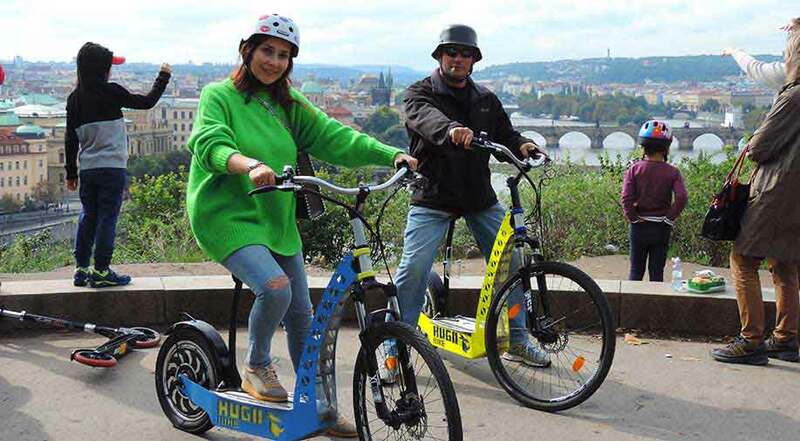 Discover Prague on a Segway accompanied by your personal (and local) guide! You might be afraid you will fall. But you won’t. 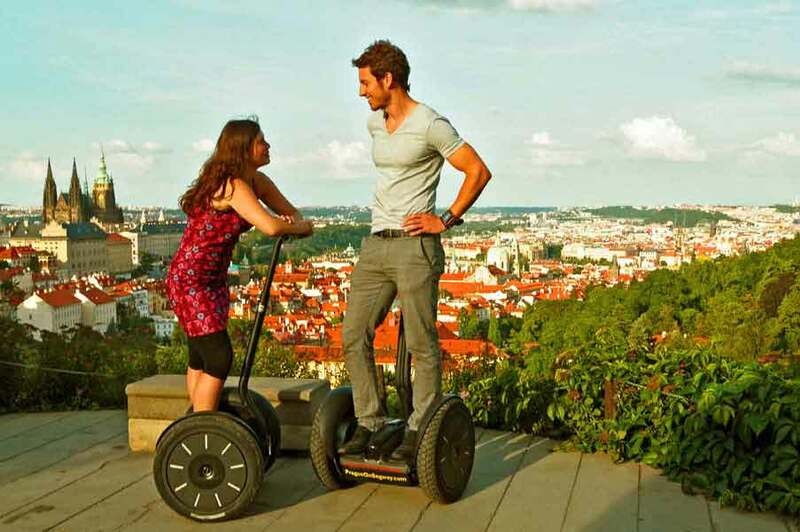 Everyone receives a proper Segway training before the Prague segway tour and we not start the tour until you feel comfortable. 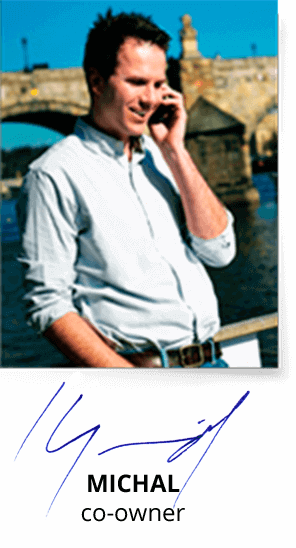 We also provide helmets, just in case. The only restriction is weight. 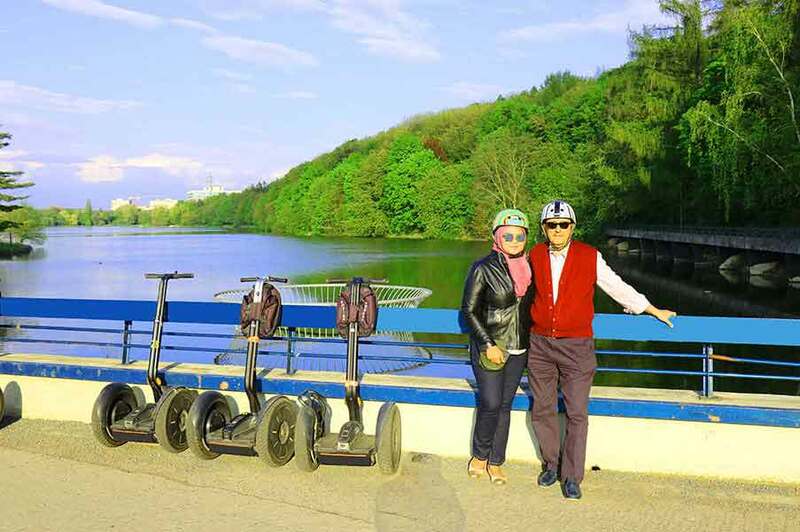 For the Segway to operate properly, you must be between 35 - 125 Kgs (72 - 276 Lbs). 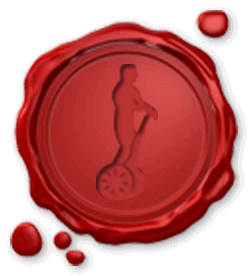 You may feel it is expensive. Consider that you will pay half of what we charge and they will turn you into a sheep, group you together and make you follow an umbrella. Or a flower. 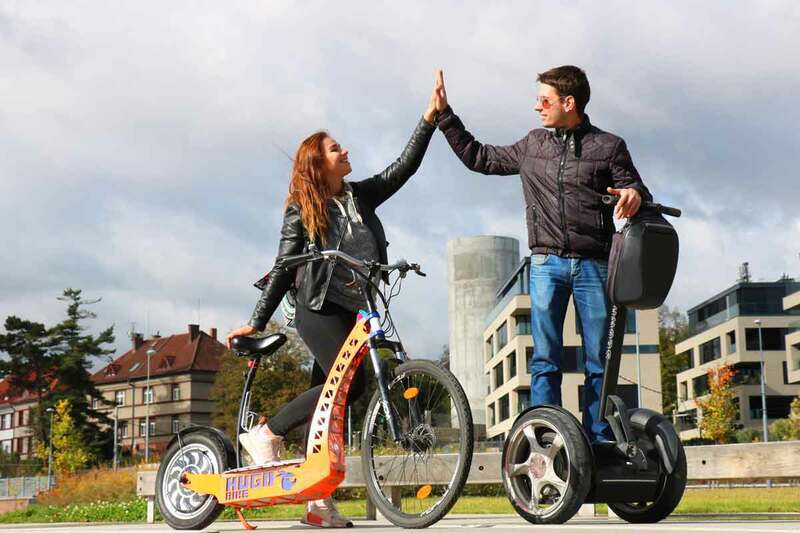 We, on the other hand, offer a personal guide just for you (two), plus two Segways, which cost the same as a second-hand car. 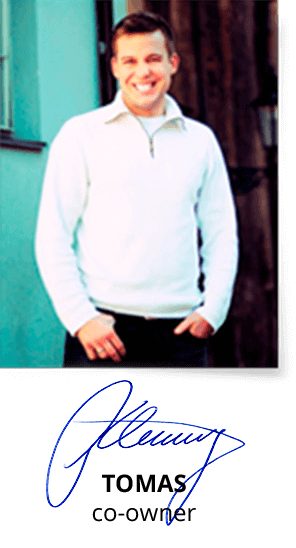 And this is going to be an experience you will always love to remember. 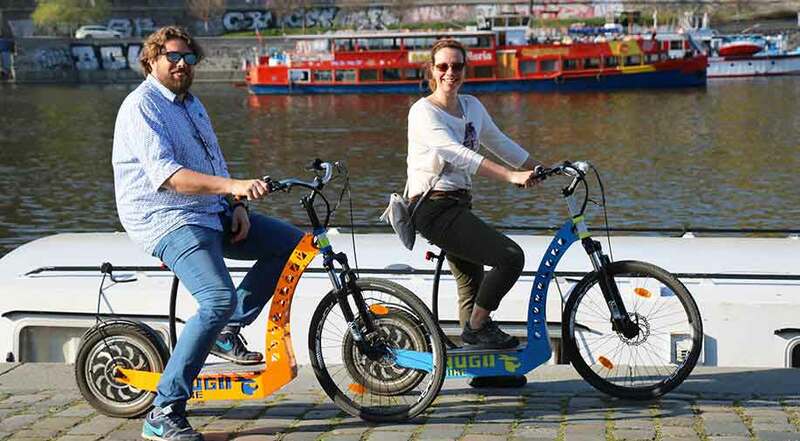 We are so confident that you’ll like it, that we guarantee you will not be able to wipe the smile off your face by the end of the tour around Prague by segway. If we see an unhappy face, we will give you your money back. 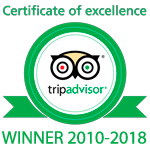 Don’t take our word for it, just read what our customers had to say. 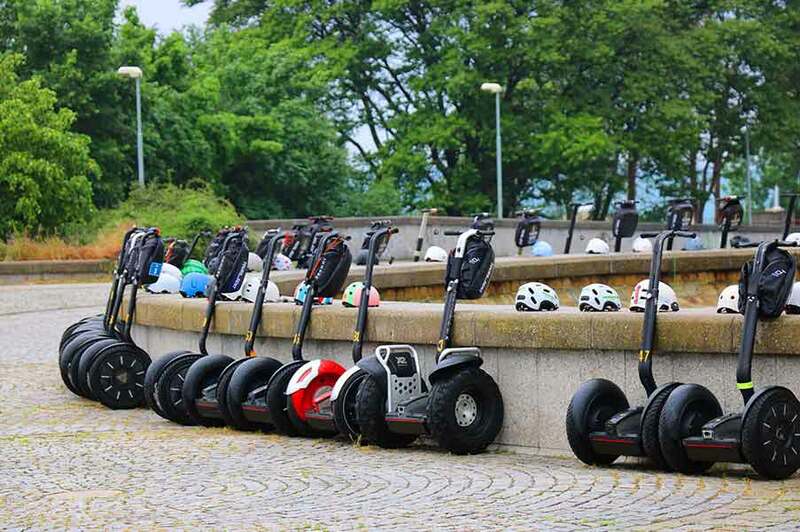 Check out TripAdvisor and ask any of the reviewer about their experience with segway in Prague. 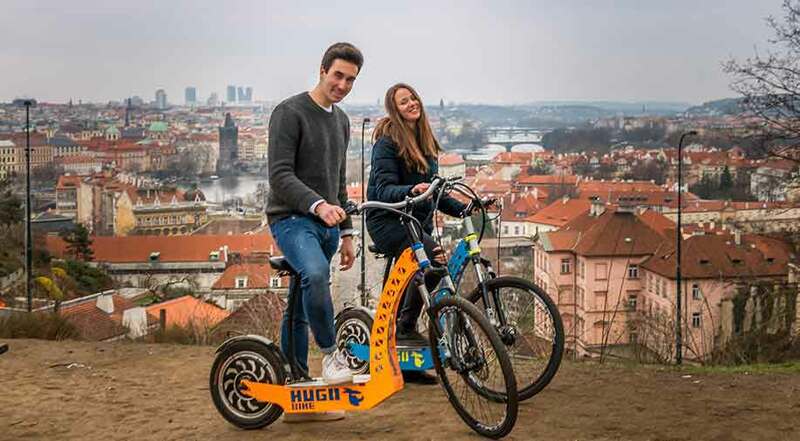 Which Prague segway tour should I book?